Planning your health care all together. 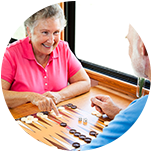 We’re committed to helping you continue to live in your home, while maintaining independence. 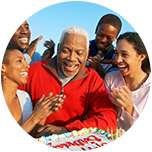 That is why we work together with you and your family to find the best health care options. 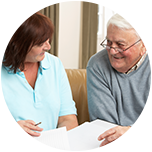 You’ll be assigned a dedicated care manager to help you arrange your health care needs. 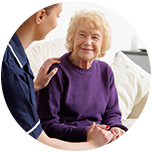 All of our care managers are backed by the expertise Elderwood brings in long-term care. Through our long-established local presence, we’ve developed strong relationships with a wide network of providers, so you’ll have the access you need to reliable long-term care. We’ll help you remain an active member of your community with transportation services so you can attend both medical appointments and social or adult day health centers when needed.